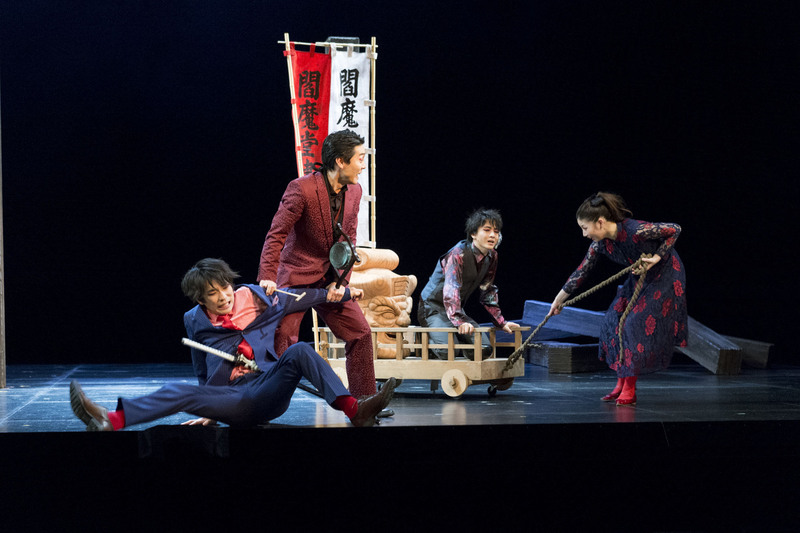 Following the recent Kyoto premiere of the company’s latest work, an interpretation of “The Daughter of Tsuji” (“Sesshu Gappo ga Tsuji”), a 1773 bunraku text by Sensuke Suga and Fuemi Wakatake that became a kabuki play soon after — which runs from March 14 to 17 at Kanagawa Arts Theatre in Yokohama — its founder, Yuichi Kinoshita, talked about his aims in transforming one of Japan’s traditional performing arts. “My company has a very unique style,” the 33-year-old begins, as we chat before a rehearsal. “Firstly, I am not a playwright or director; I am leading as a dramaturg (literary advisor and editor). “Secondly, we appoint young contemporary theater directors for each production, and many of the actors on the same basis. That’s because we want to be an open place where different people think about today’s kabuki together,” he says in a gentle Kyoto accent. 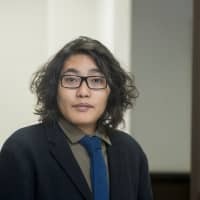 A graduate of the performing arts department at Kyoto University of Art & Design, Kinoshita says he’d always thought about how he could bridge his love of both contemporary theater and traditional forms such as kabuki, noh, kyogen (classical comic drama) and bunraku (traditional puppet theater). “In Western countries, you can’t avoid trying to stage classics such as Shakespeare or Greek tragedies if you want to be a professional director. Also in Japan, many dramatists work more on updating Shakespeare’s plays than tackling our own classics,” he says. 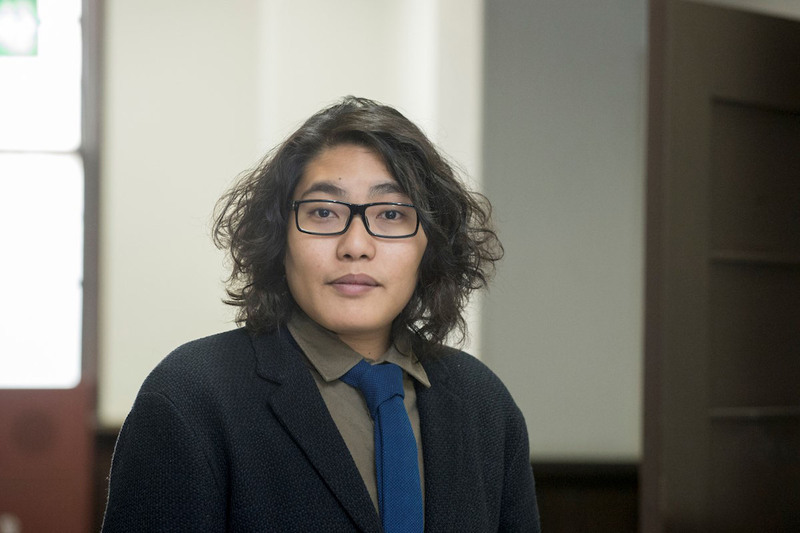 “As I wondered about that, I think I came to understand the reason,” Kinoshita adds. “First of all, our modern theater started after the Meiji Restoration in 1868 with the sudden arrival of plays from Western countries. The current of traditional theater then stopped and its development halted, while the style of Western plays gave impetus to what has become Japanese contemporary theater. Explaining why he started his company, he says, “Traditional theater in Japan is handed down virtually unchanged through performers’ families, and many people love it being that way. So that’s a big hurdle if you present a spinoff in a different style — and you need a good reason to try and do it. In practice, he hopes the younger people in his audiences, who have likely never set foot in any of Japan’s venerable kabuki theaters, will be inspired to sample their mainstream fare. Conversely, he says he would love it if regular kabuki fans venturing to one of his performances then wanted to check out other modern works. In this story the central character is Shuntokumaru (played by Shunji Tagawa), a feudal lord’s handsome son who is resented by his half-brother, Jiromaru (Masahiro Oishi), a son of his father’s mistress. Following the death of Shuntokumaru’s mother, his father’s new young wife, Tamate Gozen (Chika Uchida), becomes especially fond of him. Then one day he is stricken by a mysterious illness that blinds him and disfigures his face. After that he leaves home and lives as a beggar until Tamate Gozen tracks him down and the awful truth about what really happened is revealed. For this production, Itoi — who is famous for his soulful, melodic songs with catchy lyrics — has created a touching drama amid what look like prehistoric wooden pillars. In this atmospheric setting, the characters hail in song the eternal cycles of the stars, even as their earthly tragedy unravels. 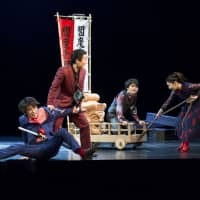 Back in present-day Japan, meanwhile, Kinoshita-Kabuki is rapidly becoming a star of the contemporary theater scene — a development Kinoshita finds conflicting. “I feel a bit uncomfortable when I hear that our interpretation of a play is totally correct, and we are the saviors of old kabuki. Actually, our productions are contemporary theater, and they should be among hundreds of different ways of performing those texts,” he says. “The Daughter of Tsuji” runs from March 14 to 17 at Kanagawa Arts Theatre in Yokohama. For details, visit www.kaat.jp or kinoshita-kabuki.org.